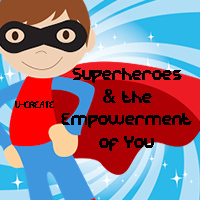 U-CREATE is a Summer Camp for kids ages 6-12 that is designed to be an active camp that both educates and stimulates, while having fun. The children will be split into age groups. Campers can register for one week or up to all seven. The program provides campers the opportunities to participate in recreational activities, educational activities, arts and crafts, a climbing wall, and swimming. Before and after care is provided at an additional cost. All of our camp counselors are CPR/AED and First/Aid certified for children. The camp will run Monday-Friday from 9 a.m. until 4:30 p.m. 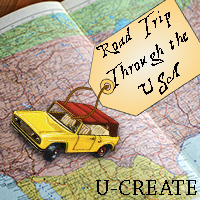 Registration for U-CREATE 2019 is Open! To receive member pricing, a parent or legal guardian of the enrolled child must be a member at the time of registration and also for the registered session(s). Pricing for camps and before/after care are per session. Each week counts as a session. For example, if you sign up 3 children for 1 week, that is 3 sessions. Lunch is not provided in the cost of enrollment. Campers can bring lunch with them (refrigeration space is limited, so include an ice pack in the lunch if needed), or lunch can be purchased for an additional $30.00/week. The lunch option for each day of each week is preset and there will be no substitutes. The purchased lunch will consist of a sandwich, bag of chips, and a small cookie. No drink will be provided. Returning Camper Discount: Recieve pricing for camp enrollment (not add on services) from the previous year if child was enrolled during that season - only valid until May 1st of the camp year, and to receive this pricing online you must only pay the deposit. Member pricing is remining the same from last year. Individuals can register at the Recreaiton and Wellness Center Triton Trading Post anytime the facility is open. Please allow approximately 15-20 minutes for registration. Child can be enrolled through the Online Member Portal. If you are a member and have not gotten access to your online account, click here. 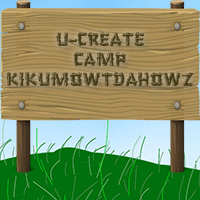 The member who will be enrolling the child in camp needs to complete this FORM. After form has been submitted, you will receive email confirmation within 48 hours that you can proceed with registering the child through the Online Member Portal. If you are a member and have not gotten access to your online account, click here. The adult who will be enrolling the child in camp needs to complete this FORM. After form has been submitted, you will receive an email within 48 hours with instructions on how to register online. Kickoff the summer by sending your camper to this sleepaway inspired week. "Cabin" competitions, crafts, and more. Leave the controllers at home, this will be a week of living out some classic and popular video games in real life. 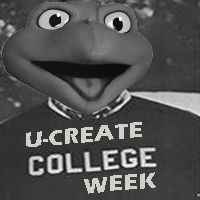 Apply and enroll today: a fun introduction to a college experience without all the studying. 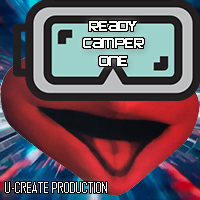 Fly into a world of adventure and discovery where your camper will unveil the mysteries and magic of wizardry. We solemnly swear you'll have a good time. Summer time living with all your best friends; venture through the USA with exciting challenges along the way. Marvel as campers Discover Characteristics they have to become their own "superhero." Come for all the things you can do, but stay for all the things you can be. To honor the finest in camp achievement, we end the summer with awards week! 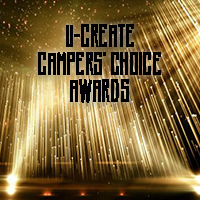 The week will conclude with an awards show open to friends and family. For information regarding the U-CREATE Summer Kids Camp, please contact Dan Bettmann at (314) 516-2344 or bettmannd@umsl.edu.